Karen Hope’s life was recently thrown into upheaval when she was hospitalized with cardiomyopathy. She has been diagnosed with end stage heart failure, and a heart transplant is her only hope for survival. Karen’s surgeon hopes to find the perfect match for her soon, but she needs our help. The cost of a transplant can be overwhelming. 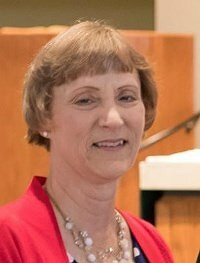 You may know Karen from St. Charles Church, where she’s directed music and liturgy for 34 years. 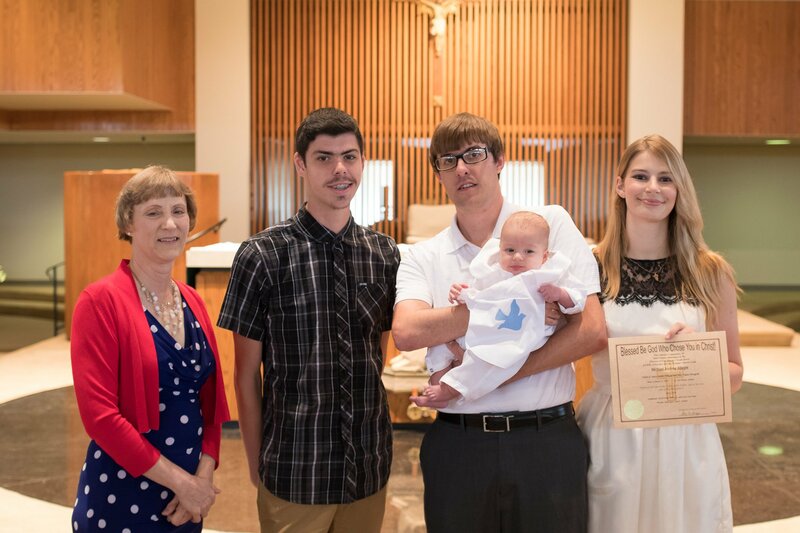 Karen has shared her gifts with members of the parish every Sunday and at the most meaningful moments of our lives, rejoicing at our weddings and grieving with us at funerals. 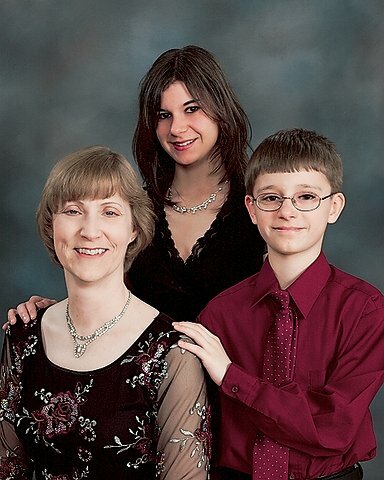 Or you may know Karen through the children she fostered and adopted, Cynthia and Tom. Karen’s life has been one of generosity. After many years of helping others, Karen is now the one who needs our support. Transplants are life-saving, but financially draining. Even with insurance, Karen is facing very high expenses including copays, expensive medications, rehabilitation, and possibly in-home care after the transplant. Costs could top $20.000. To help with the financial burden of Karen’s uninsured expenses, a fundraising campaign in her honor has been established with Help Hope Live, a trusted nonprofit organization that has been providing community-based fundraising guidance to patients and their families for more than 30 years. All donations are tax deductible to the full extent of the law, are held by Help Hope Live in the Great Lakes Heart Transplant Fund, and are administered by Help Hope Live for transplant-related expenses only. Please consider a contribution. On behalf of Karen and her family, we thank you for your prayers, support, and generosity. Please know that your contribution makes a big difference. It’s been one year since my transplant, so hard to believe! I want to thank everyone for their love and prayers, and the support I have received through this entire process. I gradually came back to full-time work last Fall. I still work, in part, from home. but it was great to be “mask-free” on Easter Sunday! God bless all of you! And as always, please pray for my donor and family. Karen wants everyone to know how well she’s doing! She was able to attend the concert — this is huge! When we first planned it, we thought we might try to stream to her hospital room. She sure has surprised us all with her amazing progress! She is working from home, she attends Mass, continues to go to staff meetings, and is able to spend more time on her feet. Her heart biopsies have all been good; her body is accepting the heart. We are so happy to hear such good news and can’t wait to have her back on the piano on Sundays! Karen would like to send her thanks to everyone who helped with the concert. This is a long list: Thanks for onsite help to: Edwin and Cheryl Capuyen, Tom and Lillian Lothamer, Mike and Denise Harrigan and sons, Sylvia Kratzman, Thom Ensley, Tim Davis, Bob and Liane Carroll, Bob Mondok, Darlene Simpson, Carolyn Tyndall, Sam Ensley, and Paul Ensley. Cookie salespersons included Claire and Sean Myers; Anne, Catherine, Laura, and Mary Carroll, and Gianna Barry. Cookie Bakers included: Sue Forte, Sarah Robinson, Mary Hitchens, Marcy Watts, Cathy Richardson, Martha Berghoff, Jared Hoy, Becky Silkworth, Lillian Lothamer, Mary Beth Linn, Becky Barry, Pam McGraw, Mary and Catherine Carroll, Susan Ensley. 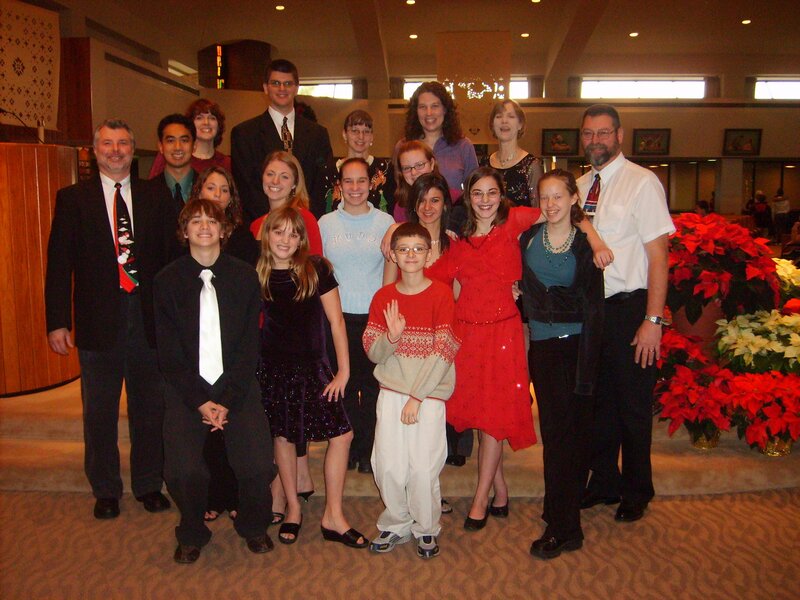 Singers were: Mitch, Mary, Sean, and Abby Black; Emily and Brendan Harrigan; Mike, Gloria, Amanda, and Katie Kohrman; Marie and Molly Lothamer; Ian, Christy, and Bianca Capuyen; Jesse Martinez; Jamie Black, Carol Sarasien, and Isaac Jinks. Musicians included: Jeremy Hoy, Mitch Black, Emily Mondok, Beth Spangler, Brad and Angela Braun, Susan Ensley, Jared Hoy, Keith Heiman, Noah Miller, Hannah Janssen, Pete Lorenger, and Scott Nist. Please forgive me (and send me a correction!) if I forgot anyone or misspelled anyone’s name. We are all very grateful to the helpers and attendees of this highly successful event. Thanks to all! The Night of Hope concert was a HUGE success!!! We raised more than $8000 in cash and checks plus about $1100 in electronic donations. And $800 of that total was from COOKIE SALES!! Can you believe it? Karen is SO THANKFUL at the outpouring of generosity from our parish. Karen is doing great! She attended her first staff meeting a few days ago. She was able to go down a flight of steps to get there! She had had a couple of set backs that she has overcome. She has been attending Sunday Mass sitting in the chapel. Hopefully not critiquing our music without her! Karen achieved a milestone today! She was able to go all the way upstairs today. She reports that she had a GREAT day today. She is making leaps and bounds progress. She is looking forward to being able to do this on a regular basis. Go Karen! The Heartwarming Bake Sale was a huge success! Thank you so much to Jared Hoy, Susie Frazier, and Melanie Hiney who organized this sale. Thanks also to the second grade parents who baked such delicious treats. And thanks to Sister Genevieve who did so much behind the scenes work to make our bake sale a success. We raised nearly $900! Karen is home and doing great! She is working hard at physical therapy and doing liturgy planning from home. Cynthia and Tom are taking good care of her. We are thrilled with her progress! Karen is doing great! She had her first heart biopsy and it came back great — her body so far is accepting the heart. Yay! At this point she is scheduled to come home FRIDAY!! The doctor says she is doing “too good” for rehab. How is that for answers to our prayers? Updates will be coming SOON about her concert fundraiser, school bake sale, and restaurant nights. Keep checking back! Karen’s heart transplant was successful! She has made it through the first critical 24-48 hours. Prayers and donations are appreciated! Karen Hope’s life was recently thrown into upheaval when she was hospitalized with cardiomyopathy. She was diagnosed with end stage heart failure, and a heart transplant was her only hope for survival. Karen’s transplant occurred March 31, but she still needs our help. The cost of a transplant can be overwhelming. You may know Karen from St. Charles Church, where she’s directed music and liturgy for 34 years. Karen has shared her gifts with members of the parish every Sunday and at the most meaningful moments of our lives, rejoicing at our weddings and grieving with us at funerals. Or you may know Karen through the children she fostered and adopted, Cynthia and Tom. Karen’s life has been one of generosity. After many years of helping others, Karen is now the one who needs our generosity. Transplants are life saving but financially draining. Even with insurance, Karen is facing very high expenses including copays, expensive medications, rehabilitation, and possibly care in her home after the transplant. Costs could top $20,000. Karen, Continued prayers from our family to you & yours. We continue to pray every day for a full recovery.Looking forward to choir with you in the fall. Continue praying for you and thinking about you each day during your recovery. So glad you are doing so well. Praise God!!!! Carl & Sylvia Kratzman. Karen, we are so glad that you are doing well!!! You are in our prayers! We are so happy to hear you are doing well and are back home. You remain in our prayers every day. May you feel God's healing touch and soon feel as good as new! Karen, know that our prayers are with you. You are an incredibly kind person and inspire others. We'll never forget how you took Jeremy under your wing and encouraged and supported him. He is where he is today because of you and the opportunities you gave him as a young student. You have always looked out for Josh in the choir and of course you gave Jared an opportunity to be part of the music ministry with his drums. May God Bless! So glad you are home, Karen, and making progress. Our prayers continue for you. Karen,you are in my prayers. I am so happy that you are making great progress. I'm sure Aggie is praying for you. Missed you Thursday and at the Easter vigil! Was so glad to hear you are doing well and getting stronger. Keep working hard and getting better! Sohappy to see you are doing well! I've always been impressed with your service at St. Charles you are so involved and dedicated. Prayers continue that you make a full recovery! My prayers continue to be with you and your family as you continue to heal and gain renewed strength. We are praying for you and can't wait to have you back in church singing His praises. The kiddos miss you too and are doing just great under Mr Isaac's care! He is filling in beautifully! Wishing you a speedy and healthy recovery! You are missed by our parish community and are being held up in prayer. May blessings continue during your recovery. Karen, we continue to pray for your recovery. You are in our daily prayers. May the Lord wrap you in his healing hands and speed your recovery. Hello Karen, I'm so sorry to hear this. I will be saying prayers for you and your family. I sit in the right opposite pew from the chorus every Sunday, and I enjoy this music. Karen, You are in our thoughts and prayers daily! Keep up the good work- recovery takes time and effort and we know you can do it! Stay strong! Karen, you are in my prayers daily, and frequently in my thoughts. You are meant to be here and do so much more on this earth. I love you, my dear friend! I am so honored to be a part of this journey. "Create in me a clean heart, oh God; and renew the spirit within me." Psalm 51:10 This will forever now be a special verse to me. Hugs! Karen, you have blessed so many for so many years in so many ways...it is past due for us to bless you. May you know your friends, family, and extended family hold in you thought and prayer. Glad to hear you are doing well. God's speed! Keeping you in our thoughts, Karen. So happy to hear you are on the mend. The St. Charles community is praying and pulling for you. Go Karen! So happy to hear that your transplant was successful! We are praying for you, Karen! God bless you! You are a champion in every way! Hooray for you! Love and prayers. I would not change a single thing in my life if that meant she would never get to be my mom. I'm so blessed that I have such an amazing person in my life. And I'm honored to be her daughter. Karen! We are thrilled that you have come through your transplant surgery successfully. WE LOVE YOU!!! We are planning your concert, bake sale, and restaurant nights. This fundraising campaign will be GREAT! Keep getting better -- sounds like you are doing FANTASTIC!